Springing for a brand-new car isn’t always an option for drivers on a tight budget, but that’s no reason for drivers in Tracy, Manteca, and Modesto to keep putting up with cars that won’t stop letting them down. 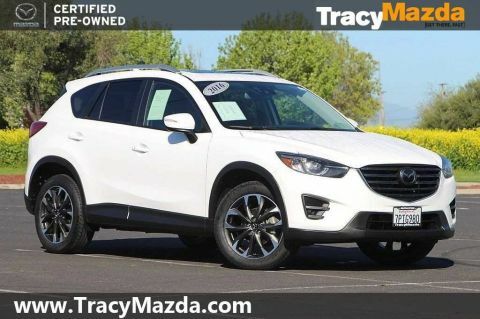 If you’ve been waiting for the right time to trade in your old vehicle, then the pre-owned vehicle specials at Tracy Mazda will give you plenty to get excited about! 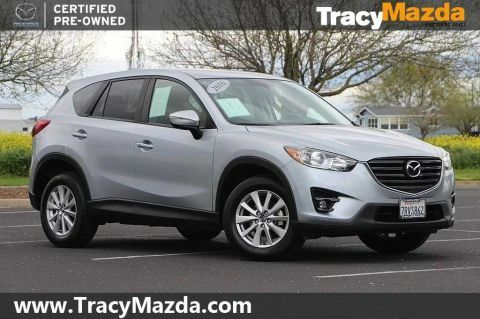 When you take advantage of the used car deals we offer to our friends and neighbors, you can get a great deal on a certified pre-owned Mazda that will keep you satisfied for years to come. New Price! CARFAX One-Owner. Clean CARFAX. Certified. 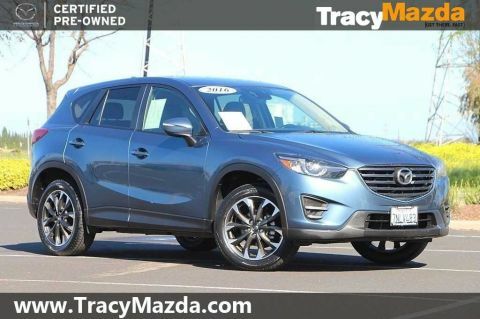 Jet Black Mica 2017 Mazda CX-5 Sport FWD 6-Speed Automatic SKYACTIV® 2.5L 4-Cylinder DOHC 16V Backup Camera, Bluetooth, Mazda certified, ALLOY WHEELS, CX-5 Sport, 4D Sport Utility, 6-Speed Automatic, Jet Black Mica. Odometer is 4875 miles below market average! 24/31 City/Highway MPG Mazda Certified Pre-Owned Details: * Vehicle History * Warranty Deductible: $0 * Roadside Assistance * Includes Autocheck Vehicle History Report with 3 Year Buyback Protection * 160 Point Inspection * Limited Warranty: 12 Month/12,000 Mile (whichever comes first) after new car warranty expires or from certified purchase date * Powertrain Limited Warranty: 84 Month/100,000 Mile (whichever comes first) from original in-service date * Transferable Warranty Awards: * 2017 KBB.com Brand Image Awards At Tracy Mazda, we realize that selecting the right pre-owned vehicle is a major decision, so all of our pre-owned cars come with a 3-day "No Hassle" Exchange Policy. You can exchange any pre-owned vehicle for any reason within a 3-day period. If you are not completely satisfied with your purchase, simply return it in the condition in which it was purchased at and pick out another pre-owned vehicle from our inventory that meets your needs. Subject to bank approval. Limited to vehicles on hand. New Price! CARFAX One-Owner. Clean CARFAX. Certified. 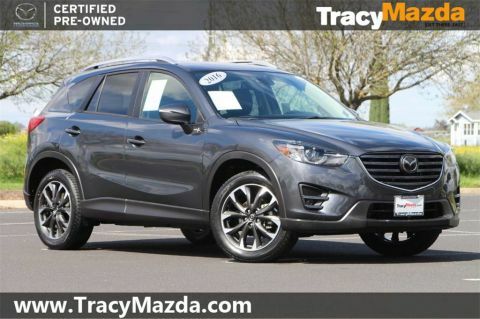 Jet Black Mica 2018 Mazda CX-5 Grand Touring FWD 6-Speed Automatic SKYACTIV® 2.5L 4-Cylinder DOHC 16V Backup Camera, NAVIGATION SYSTEM, Bluetooth, Mazda certified, MORE TO CHOOSE FROM, SUNROOF/MOONROOF, ALLOY WHEELS, LEATHER SEATS, CX-5 Grand Touring, 4D Sport Utility, 6-Speed Automatic, Jet Black Mica, Black w/Leather Seat Trim, Navigation System. 25/31 City/Highway MPG Mazda Certified Pre-Owned Details: * Limited Warranty: 12 Month/12,000 Mile (whichever comes first) after new car warranty expires or from certified purchase date * Transferable Warranty * Roadside Assistance * Warranty Deductible: $0 * 160 Point Inspection * Powertrain Limited Warranty: 84 Month/100,000 Mile (whichever comes first) from original in-service date * Vehicle History * Includes Autocheck Vehicle History Report with 3 Year Buyback Protection Former Rental Unit. New Price! CARFAX One-Owner. Clean CARFAX. Certified. 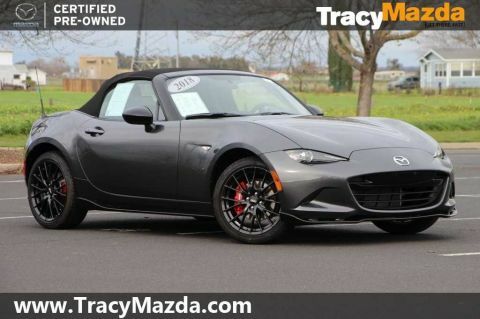 Machine Gray 2018 Mazda Miata Club RWD 6-Speed Manual I4 NAVIGATION SYSTEM, Bluetooth, Mazda certified, MORE TO CHOOSE FROM, ALLOY WHEELS, LEATHER SEATS, CAR PLAY, PRICED TO MOVE, Miata Club, 2D Convertible, 6-Speed Manual, Machine Gray, Black w/Red Stitching w/Cloth Upholstery or Leather-Trimmed Upholstery, ABS brakes, Alloy Pedals & Foot Rest, Appearance Package, Brembo Front Brakes w/Calipers & Rotors, Brembo/BBS Package, Electronic Stability Control, Heated front seats, Illuminated entry, Interior Package (MT), Leather-Trimmed Upholstery, Low tire pressure warning, Navigation System, Rear Bumper Skirt in Brilliant Black (PIO), Reclining Heated Front Bucket Seats, Remote keyless entry, Side Sill Extensions, Traction control, Wheels: 17" BBS Forged Gunmetal Alloy. 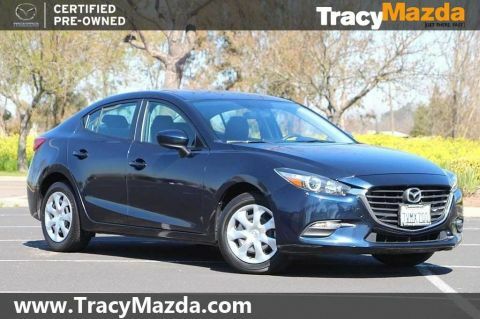 26/33 City/Highway MPG Mazda Certified Pre-Owned Details: * Vehicle History * Powertrain Limited Warranty: 84 Month/100,000 Mile (whichever comes first) from original in-service date * 160 Point Inspection * Warranty Deductible: $0 * Roadside Assistance * Transferable Warranty * Limited Warranty: 12 Month/12,000 Mile (whichever comes first) after new car warranty expires or from certified purchase date * Includes Autocheck Vehicle History Report with 3 Year Buyback Protection At Tracy Mazda, we realize that selecting the right pre-owned vehicle is a major decision, so all of our pre-owned cars come with a 3-day "No Hassle" Exchange Policy. You can exchange any pre-owned vehicle for any reason within a 3-day period. If you are not completely satisfied with your purchase, simply return it in the condition in which it was purchased at and pick out another pre-owned vehicle from our inventory that meets your needs. Subject to bank approval. Limited to vehicles on hand. 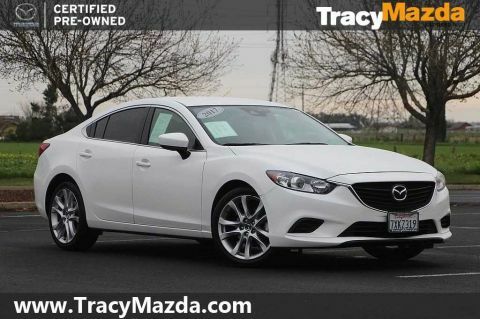 Why Choose Tracy Mazda in Tracy? 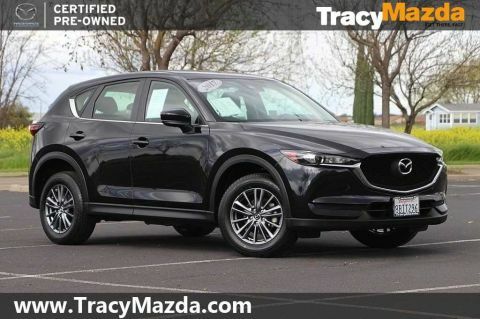 Here at Tracy Mazda, we make it easy for drivers in Tracy, Manteca, and Modesto to take advantage of our used vehicle specials. 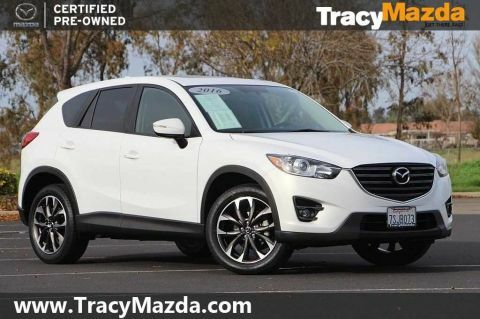 Many of our used cars are already priced under $10,000, and when you work with us, we’ll help you appraise your trade-in and maximize the value of your old car. We’ll even help you get financed to purchase the model that speaks to you most! 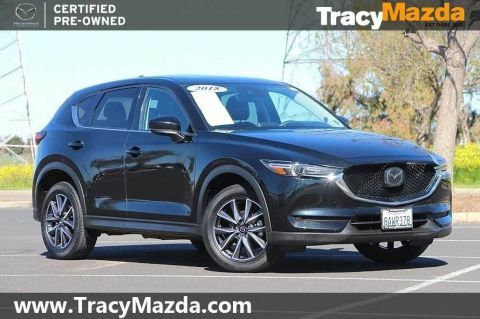 Curious drivers can learn more about our pre-owned vehicle specials by reaching out to one of our experts, or by visiting Tracy Mazda in person.